Like many of you, I’m a sucker for fast wagons. Unfortunately, most fast wagons like the Mercedes E63 AMG fall into the destroy your bank account category. This cheap Audi S6 Avant may also qualify for that label, but it will just do so gradually. 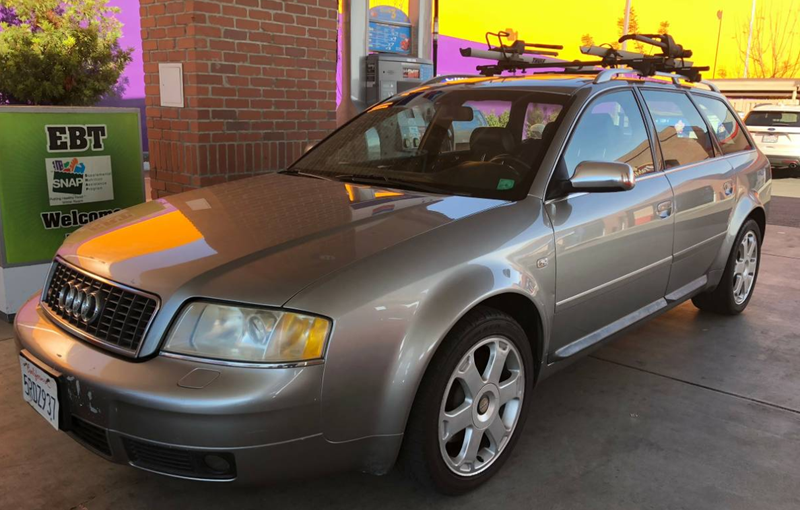 I was helping a customer in California with a deal on a new Volvo V90 Cross Country, which is a fine wagon, but because this fellow wants a true taste of the hashtag-jalop-life, he was rather tempted by this 2002 Audi S6 Avant with a mere 220,000 that he spotted on Craigslist. His rationality got the better of him, and he is still pursuing a new Volvo. That means that this wagon is still up for grabs for one of you! It has a “new transmission” and some bike racks, which is a nice bonus because having a secondary mode of transport while owning this beast would likely come in handy.